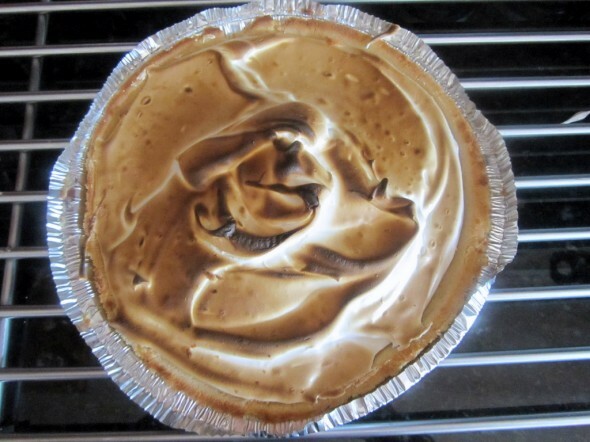 Other pie/apron projects: January Pie: Lemon Meringue, February Pie: Milk Chocolate Pudding, March Pie: Thin Mint Grasshopper, Recipe-A-Day Week Vol. IV Day 7: Quakertown Crumb Pie (April), May Pie: Strawberry. I did not make an apron this month, and I’m completely unapologetic about it. The end of the school year is always chaos, and I threw this gorgeous pie together last Sunday morning before a cookout. 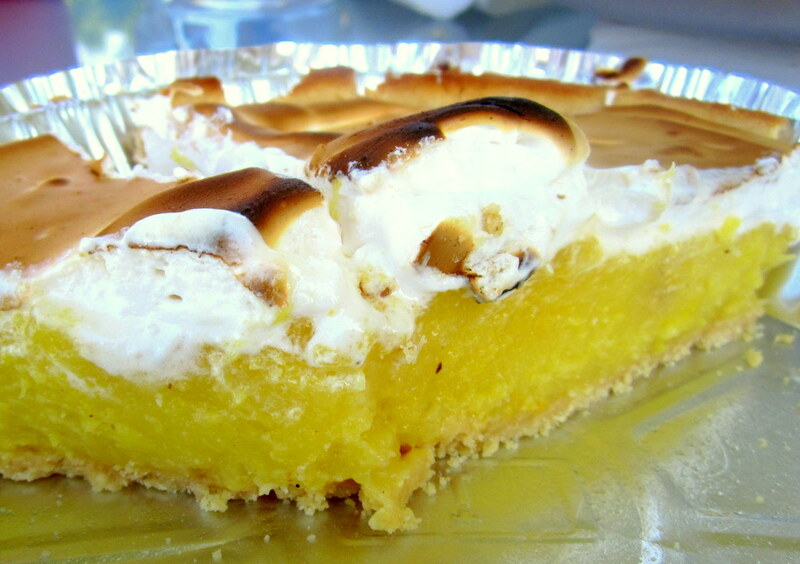 It is an amazing pie from The Pioneer Woman, like a pineapple version of Lemon Meringue. But I decided to give myself a break and enjoy the pie without the extra step of making an apron. Plus, Adam and his friends devoured this in about ten minutes, I hardly had time to photograph it. Maybe I’ll double up on aprons 1 month to come out with 12 of each at the end of the year. At any rate, make this pie. It is awesome and fast (if you use a prebaked pie shell, like I also shamelessly did here). My version is a little singed, but nobody noticed or cared. The original recipe calls for canned pineapple, but I bought fresh chunks from Whole Foods and crushed them myself in my food processor. I just measured out 8 ounces of my freshly crushed pineapple, which is how much her recipe calls for. Incredible pineapple flavor, I’ll be making this one again. To make this month even easier on myself in light of the sheer insanity of school ending (did I mention that I completely moved out of my library office in less than 2 weeks, all on my own?) I’m not even posting prep photos. The Pioneer Woman does such a good job with those on her site that I’ll just point you there again. This is so liberating!